The world has adopted 17 global goals (known as the Sustainable Development Goals (SDGs)) to guide development around the world with the understanding that if these goals would be reached, poverty could be eradicated, we would all have access to clean water, more sustainable cities and ultimately global warming would be halted. In short, we could face a brighter future. The global goals are interlinked. Progress on only one or a few goals on their own could hinder progress on another. Many governments, NGOs and companies have chosen to dedicate their efforts and positive contributions to a few, specific goals. I acknowledge that collective efforts towards specific global goals are good and important, and I recognise that it is difficult for stakeholders to keep a broad approach that is inclusive of all initiatives. However, we should consider these inter-linkages and make sure that any projects that we take on related to a specific goal, do not hinder progress made on another. From April 1-3 2019, the “Climate and SDGs Synergy Conference” will take place in Copenhagen. The meeting is addressing the connections of climate change and the SDGs and intends to promote synergies between the UN’s climate talks and those on the global goals. Climate change is addressed in goal 13 -but with a broad and complex agenda. As a result, the talks on climate change are often managed separately during annual climate summits which address a wide range of aspects related to global warming and resilience. The goal on climate change can only be achieved if it is also addressed in the other goals. For example, while we work to ensure food security (goal 2), we must ensure that projects related to goal 2 do not lead to increased food waste or emissions and that the promotion of industries, innovation and infrastructure (goal 9) are achieved through sustainable materials and production. At the same time, many of the global goals are also affected by climate change. A lack of climate action will jeopardise progress on the goals, for example, on food security and poverty. This has been highlighted in a report by ACT Alliance, and it is a serious concern for poor and vulnerable people. The meeting in Copenhagen will not solve the challenges that we face, but will hopefully promote a more aligned approach between the two political processes. These processes and policy-related decisions should be coordinated so that they automatically apply to each other. UN Secretary-General, Antonio Guterres has invited world leaders to a climate summit in September, later this year, with the aim of increasing global climate ambition. Guterres has called on leaders to bring with them “plans not speeches”, as expectations for this summit build up. As leaders at the climate summit will be discussing the global goals, I hope that there will be concrete plans and commitments on the table, which could help us to ensure sustainable development for us all. You can follow the meeting happening in Copenhagen here. 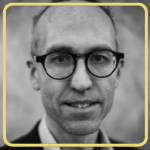 Mattias Söderberg, Senior advocacy advisor at DanChurchAid and co-chair for the ACT Alliance working group on climate change.